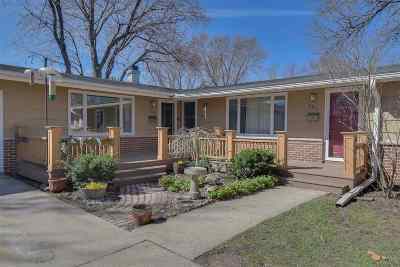 Great home or investor opportunity in beautiful westside of Madison awaits! Whether living in one side and renting the other or getting cash flow positive with both homes, come tour and see a small oasis right in the heart of everything that makes Madison attractive. One of the prettiest and peaceful backyard decks and fenced in lots in the area is there for your enjoyment. Ease of access to parks, fine dining, shopping and entertainment district. Expense and income reports available upon request. Directions: South On Gammon/McKenna Blvd To Left On Hammersley.